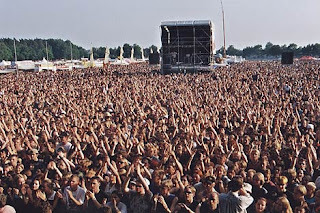 .....have us in their sites. Now's your chance to enter the Certré online competition for 2008. Follow the links and you can review the trees from previous years, those already entered for 2008 or even enter one of your own- good Luck!! 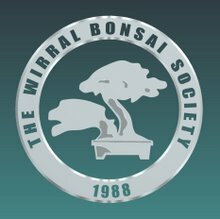 I know I've linked to this site before but for anybody interested in the construction of bonsai pots, click the links below for videos (be aware, they can be large files!!) the first highlighting the making of a huge Tokoname pot. Both the skill and speed involved in the construction by hand are a sight to behold. 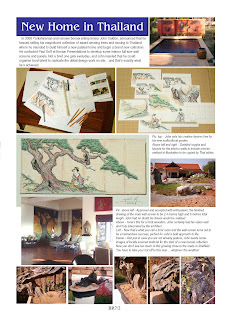 The second features the ancient dragon kilns and the work of Master Xu. 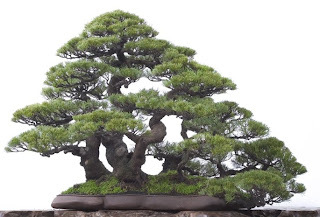 The tree of the month went to Les Storey with his Trident Maple and Juniper composition. The proud recipient of the trophy. 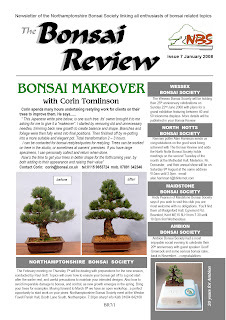 Ian started with a talk on how well the club had performed over the past year, and how we need to keep up our performance to continue to act as a team, the importance of teaching the young ones Bonsai techniques as they were the future. Then went on to discuss the treasurers report, the financial position of the club is not in too bad a position. Membership sub's were increased to £10 for single and £15 for couples and family memberships. The committee were to stay as they were with 2 new positions -Iain Quayle as official web/blog Editor and Brian Miller as official photographer. Ian spoke of Fiona Wallace who organizes a show, similar to our Gordale one, up in Glasgow and has asked us to organize an exhibit for sometime this year, details to follow. 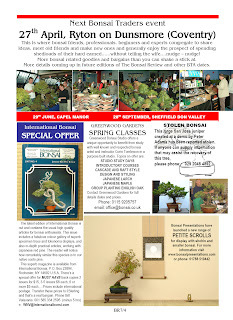 Long discussion took place on a full days workshop and to seek a well known master in the art of Bonsai, venue and dates to follow. 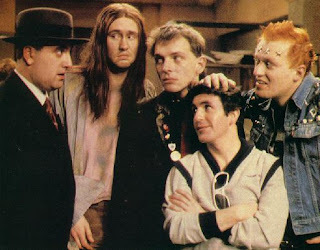 Lee -happy in the knowledge that he is to remain social secretary. 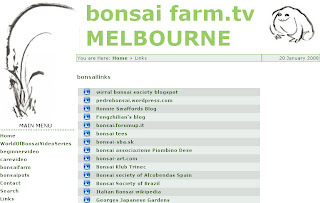 The future of bonsai !!??!! & agree to pass the societies 06-07 accounts!!! 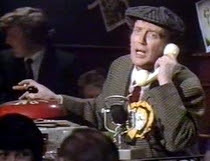 I feel I'm showing my age now-I hope I'm not the only one to remember the Wheeltappers!! Call it Literati, Bunjin, Scholar Style, Wenjen, Nansoga, or the Southern Song Painting Style- this style of tree poses many questions and challenges both the artist and viewer alike. John Naka once said of this style, "It is a dream, an abstract. 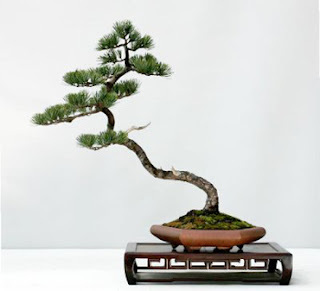 It is an extremely advanced, significant bonsai design." The link above takes you to an interesting exploration of the style. This months item is part of the site developed for our friends over the border, the VoCBs. 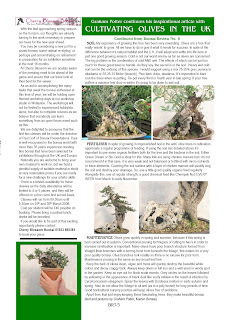 Produced by Kevin Bailey it includes a number of articles by Kevin that appeared in Bonsai Magazine or The Art Of Bonsai Magazine. This article highlights the issue of feeding and fertilising-not a hot topic for this time of year but it may give us all time to acquire any missing items for the coming year. If you explore a little further you will find a wealth of interesting stuff: and I did like the story of his greenhouse rebuild! !